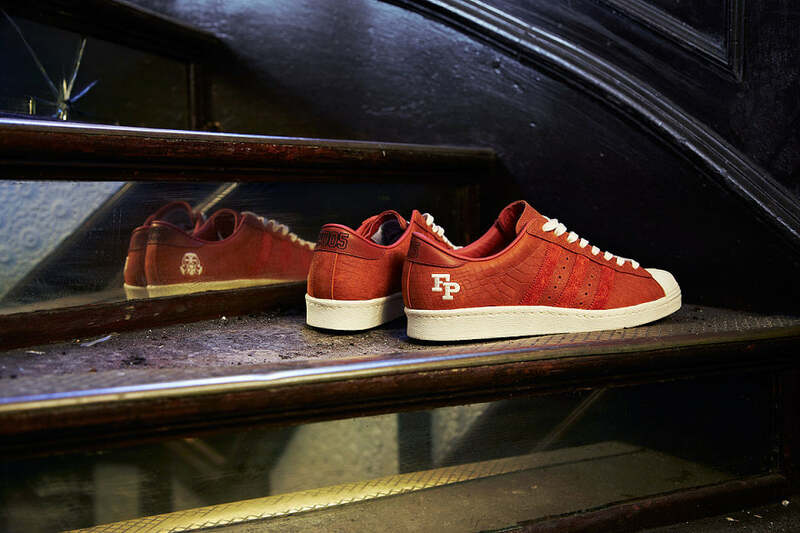 The 10th Anniversary series sees adidas Originals invite five of the original Consortium partners to re-approach the Superstar, once again bringing their own unique flavours to an irrepressible footwear icon. 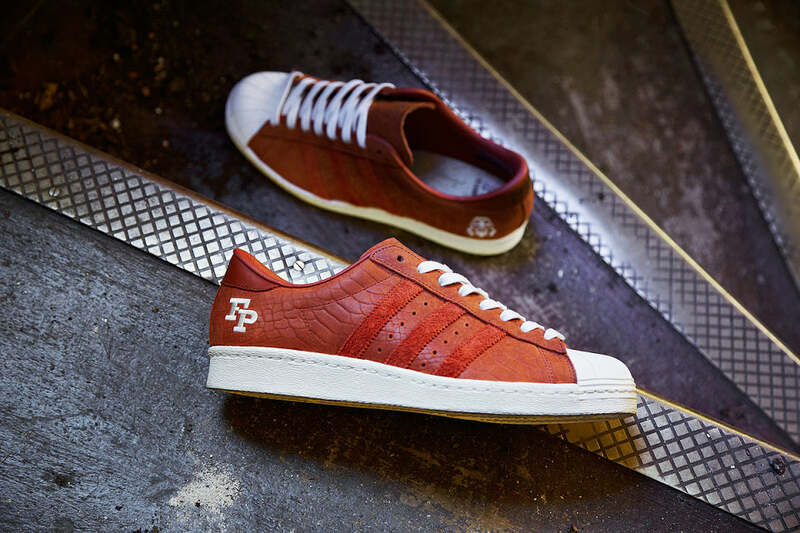 This edition is made in collaboration with Footpatrol of London. Constructed from premium crocodile print leather in a tan colour way. Offset against a white shell toe and sole unit. 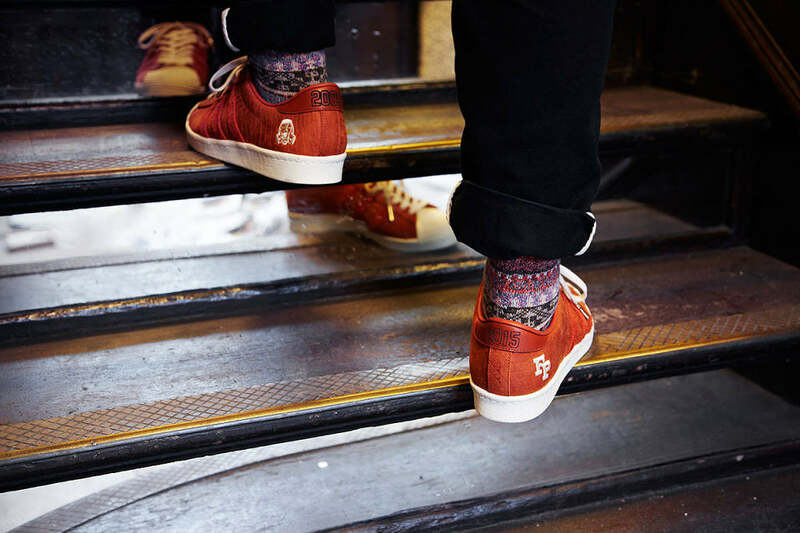 Accented with an embroidered FP logo on one heel and the famous Gas Mask logo on the other.